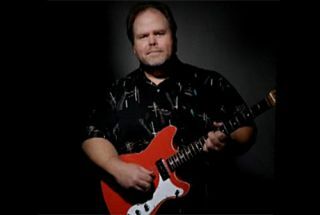 Bluesman Buddy has a heart and tone as big as Texan itself, as he demonstrated when he came down to the Guitarist studio for an absorbing video lesson for GIT299. Noted as a former member of John Mayall's Bluesbreakers, the clip below sees Buddy do what he does best; play live. This version of the classic BB King slow blues tune Baby How Blue Can You Get is truly wonderful, complete with lovely Strat tones, a mournful gob-iron and a warm Hammond.